The purpose of this paper is to determine more nearly computable error bounds for finite element solutions to two-dimensional elliptic boundary value problems defined on simply connected polygonal regions. In the appropriate norm, the interpolation remainder is an upper bound on the finite element remainder. This follows from a best approximation property of finite element solution (Section 2). 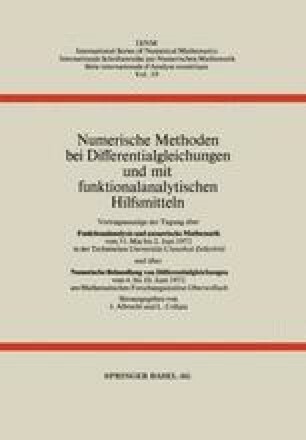 The SARD kernel theorems  provide representations of admissible linear functionals defined on function spaces of prescribed smoothness. These theorems are defined for rectangles and in Section 4 are extended to triangles. The method can be extended to more general regions . In this paper we calculate the constants in interpolation error bounds for triangles. This is done in Section 5 for the particular case of piecewise linear interpolation. Finally in Section 6 the results of Section 5 are applied to a specific boundary value problem in order to obtain numerical results.